Looking for a quick connect at your turbine. 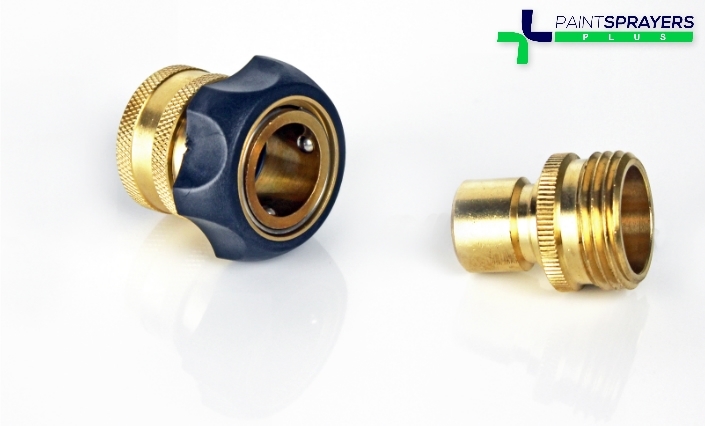 The 2046M - Male connector will attach to your Fuji turbine air hose. This must be used together with part # 2046 female connector (included) to make this a quick connect combination. This combination will allow for the quick connection and disconnection of the 25ft air hose from your turbine. provided the items I ordered (quick disconnect fitting) for my Apollo sprayer and the delivery was quick! No disappointment here at all! !